Living at Antarctica's McMurdo Station: How warm are the indoor living spaces? 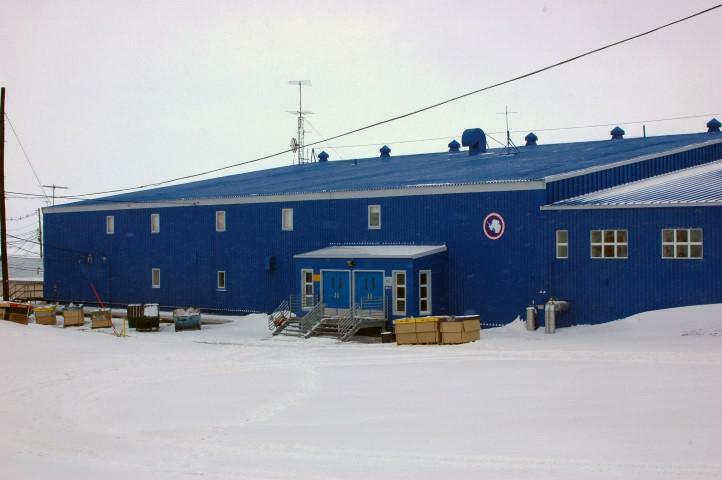 How Cold Are Living Spaces Inside Antarctica’s McMurdo Station? Inside McMurdo Building 155—home to the research station’s cafeteria, store, and some dorms, and other operations—may be nice and toasty. Outside? Not so much. I did three winters (eight months each) at McMurdo Station, and we were allowed to keep the temperature of our living spaces as high as we wanted. Many people would crank their thermostats all the way up and even use space heaters, so it wouldn’t be unusual for our rooms to be in the 80s (26 C), and the buildings we called the “upper case dorms” all had saunas on the first floor. We kept our work spaces and common areas considerably cooler for many reasons, not the least of which being the cost and environmental impact. But at the end of your regular 10-hour day and six-day week, you want to try to get the ice out of your bones. Particularly if you have been outside all day or even in the field for days. There’s an Antarctic saying: If it’s 20 below and the wind ain’t blowin’, it ain’t bad. One large factor in the perception of temperature is the humidity. Antarctica is the world’s largest desert, and the humidity averages around 4 to 5 percent in the winter. All of the water is locked up in the ice, and just as a dry heat doesn’t feel as bad as hot and humid, a dry cold doesn’t feel quite as bad. The dryness is so extreme that many people get nosebleeds, and some even shed a layer of skin till the body adjusts. Lips chap, and everyone’s constantly drinking water. Still, when it gets really cold, below minus 40 F, you can watch your exposed skin freeze white. As far as any “shock to your system” is concerned, keeping your living area cool will help you acclimate more effectively, but a healthy person shouldn’t worry about going from one extreme to another. At New Zealand’s Scott Base, about 1.2 miles (2 km) from McMurdo on the Ross Ice Shelf, there’s an annual polar plunge on midwinter’s day. We cut a hole in the ice and dive in. You do it naked so that when you get out, you don’t have to worry about fabric freezing instantly to your body. Many people hop straight into a hot tub right after, and a brave few shoot for records, going from the ice water to the hot tub to warm up and back to the plunge as many times as they can. It’s not any shock to their systems that limits people but the pain. Thawing out hurts. There is even some reason to believe that short exposures to extreme cold can bolster the immune system. Ever heard of a Finnish Sauna? Then there’s the 300 Club. At the Amundsen-Scott South Pole Station, when it reaches minus 100 F (minus 73 C), the polies will crank a sauna up to 200 F (93 C), get in and get nice and warm, then hop out, run around the Ceremonial Pole, and back into the sauna. So saving on fuel: kudos. Acclimation: effective. Shock to your system: Maybe if you have some kind of heart thing—I don’t know; I’m not a doctor. But otherwise, humbug. Would there still be ice caps at the south pole if the landmass of Antarctica was not present? What is it like to live in Antarctica? In which country is one tried for committing a crime in Antarctica?